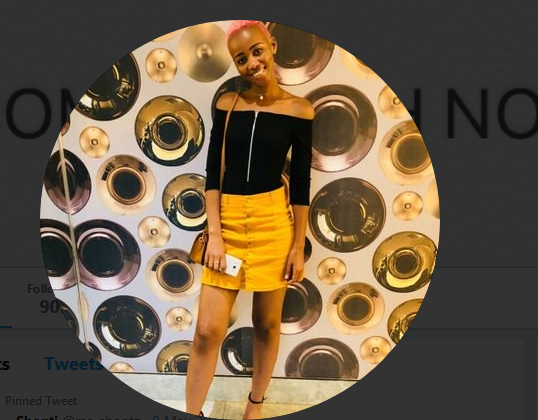 A young South African girl, Shonti has narrated a rather shocking reaction her mom put up after she was raped by a man whom she claimed to know. 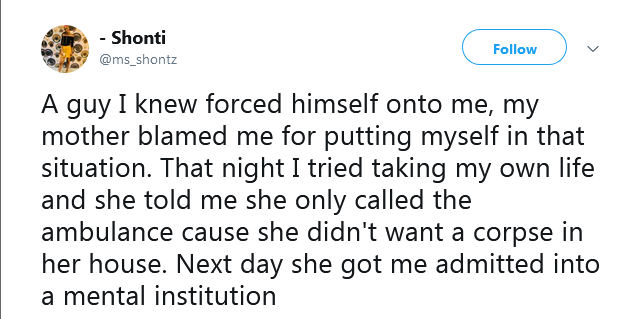 According to the young woman who took to Twitter to give her narrative, her mom had blamed her for putting herself in the situation to get raped. And when she attempted to commit suicide as a result of what she passed through, her mom called the ambulance to take her away. The very next day, her mom got her committed into a mental institution.